Fit & Fresh offers lunch bags, coolers, containers, and other products for a wide variety of demands. 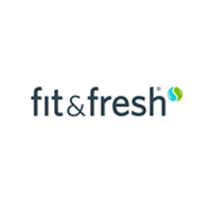 You can visit the Fit & Fresh website to purchase products from such categories as insulated lunch bags, lunch containers, lunch bag kits, ice packs, hydration, beach bags and coolers, chilled serveware, and reusable lunch bags. These products can be useful to a wide variety of people from a wide range of ages and needs. You can find container sets that are ideal for making healthy lunches for the kids. You can also use this website to find bags and containers that are perfect for those who want to bring their own lunches to work. For most up to date offers check out Fit & Fresh on Facebook and Twitter or contact Fit & Fresh Support for any questions.